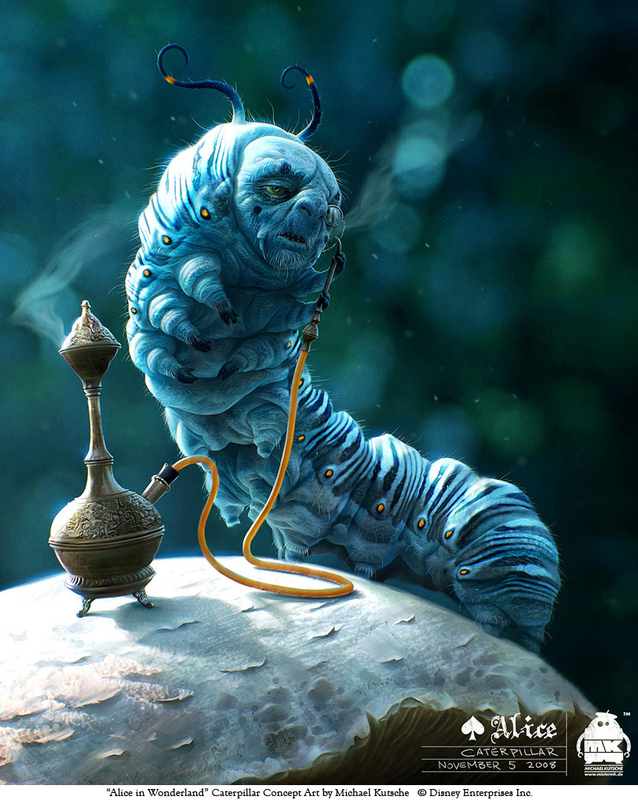 This is the final design of the Caterpillar I did for Tim Burton's "Alice in Wonderland". You may notice a slight similarity to Alan Rickman regarding the face. There's no use of 3d in this image, it's all painted.